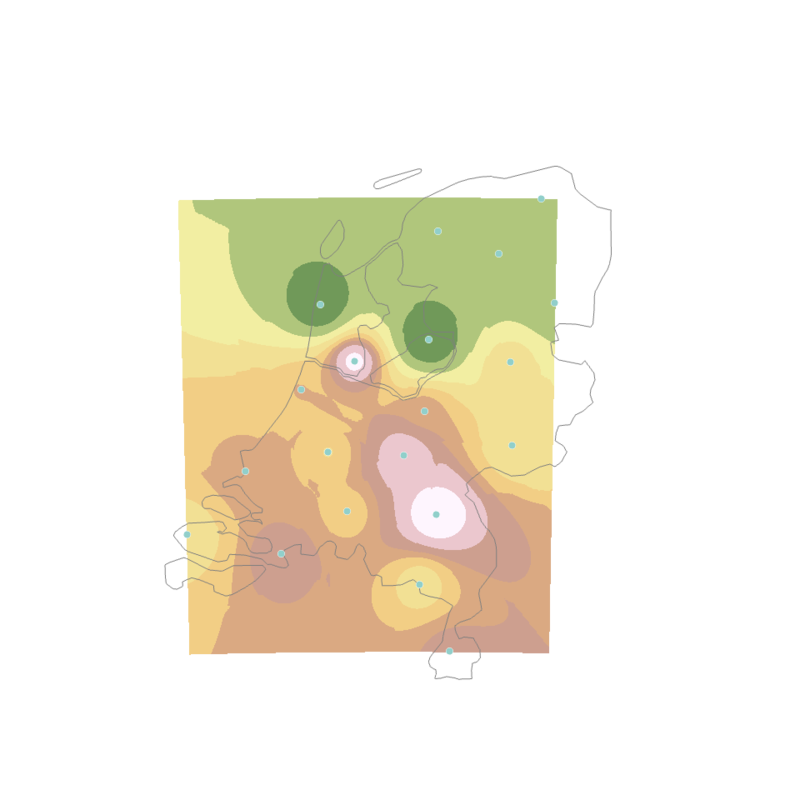 I have a data set with air pollution concentrations for 20 locations in the Netherlands. I would like to interpolate this data with IDW, so that I can estimate the approximate concentration for every address in the Netherlands. I used the IDW geoprocessing tool in ArcGIS Pro. My problem is, that the estimation only is made for between the data points, which leaves the parts at the borders of the country without estimation (see image). What I would like is to expand the size of the interpolation that all of the Netherlands is captured in the estimation. I tried to define the extent of the interpolation in the IDW geoprocessing tool with the shape of the country that I acquired with the method in the link (under Environments, I set Extent to: Same as layer 'The Netherlands'). But then the interpolation is spread out way too far, like 10x the surface of the Netherlands. Does this mean I should select the country in a different way to make it work? Go to Analysis tab, Geoprocessing ribbon and click in Enviroments. 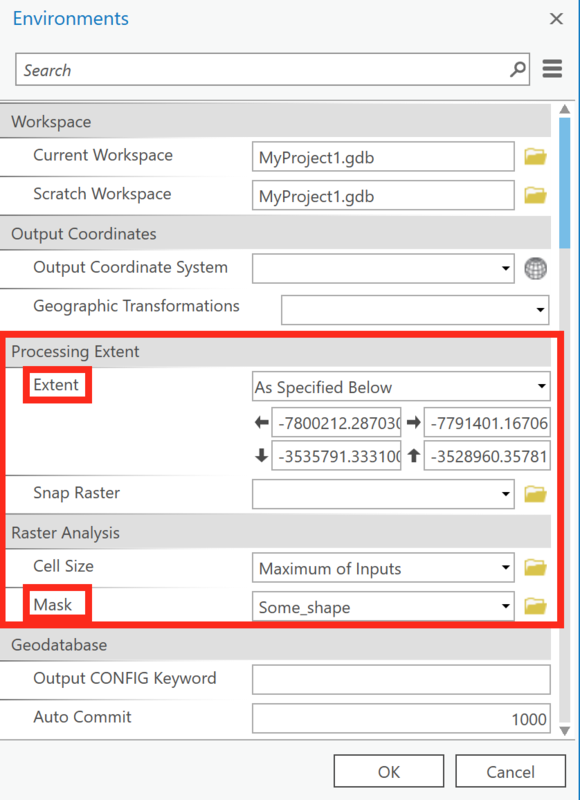 In Processing Extent select the shapefile as Extent and in Raster Analysis select the same Netherlands shapefile as Mask. By the way, this is not "expand IDW borders". What you want to do is an extrapolation. Not the answer you're looking for? Browse other questions tagged spatial-analyst arcgis-pro interpolation inverse-distance-weighted or ask your own question.